When Ben Rex started his website design company Cyberwoven in 2001, he was an undergraduate at the University of South Carolina attempting to grow his business by going door-to-door selling website design services. Now a successful digital agency, Cyberwoven is a mid-sized company based in Columbia with clients located across the Midlands and across the country. The company specializes in web design and development, branding, and digital marketing. In addition to providing digital expertise for clients, Cyberwoven has another mission — to give back to their community. Rex wants Cyberwoven to give intentionally, and has hired Mac Bennett as Cyberwoven’s Director of Community Impact and Strategic Initiatives. He also has continued to contribute to the charitable donor advised fund he established at the Community Foundation in 2011 to simplify giving back. While much of Cyberwoven’s annual giving is still done directly from their company, their fund at the Community Foundation allows the company the opportunity to focus on both the short and long-term dollars they plan to invest in the community. Cyberwoven’s contributions to their fund are invested by the Community Foundation. The investment gains are added to the dollars available for grantmaking – increasing the impact of Cyberwoven’s community focused grants. Rex and his team actively advocate for other small and large businesses across the Midlands and beyond to set up a fund at the Community Foundation in order to take advantage of the many benefits provided. Rex’s experience with his fund propelled Sonoco Corporation to establish a fund and that company is now benefiting from the expertise and administrative support the Foundation provides. 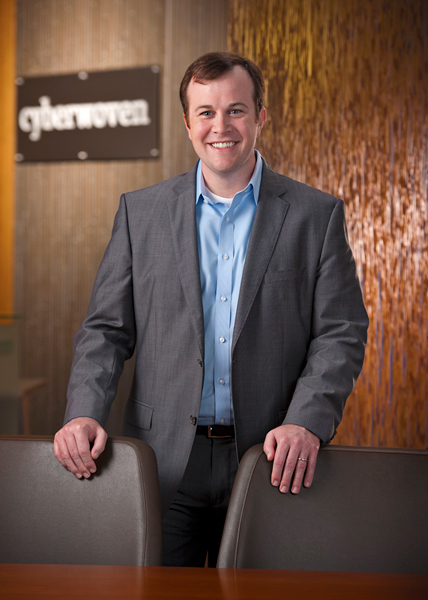 While Cyberwoven is currently a mid-sized company, the firm is growing, in both its client base and its philanthropy. With Rex’s vision for the company as well as the Community Foundation fund, Cyberwoven is on its way to becoming a company known for both its quality services and for its charitable investments across the Midlands. To learn more about how the Community Foundation can assist your business with charitable giving, contact Heather Sherwin at heather@yourfoundation.org or 803. 978.7831.